For a casually elegant ensemble, consider wearing a black fur coat and black leather skinny jeans — these pieces the place of work beautifully together. For something more on the daring side to complete this ensemble, go for a pair of Teva terra float travel knit active sandal from Nordstrom. 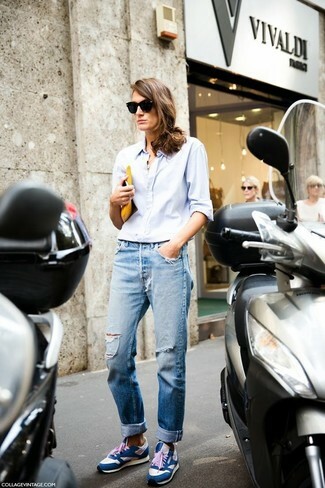 Contrary to what you might believe, looking absolutely chic doesn't take that much time. Just opt for a silver shift dress and you'll look incredibly stylish. To bring out a sassier side of you, complete your look with Teva terra float travel knit active sandal. If you're in search of a casual yet totally chic getup, pair a black knit open cardigan with grey skinny jeans. Both garments are totally comfy and will look fabulous together. 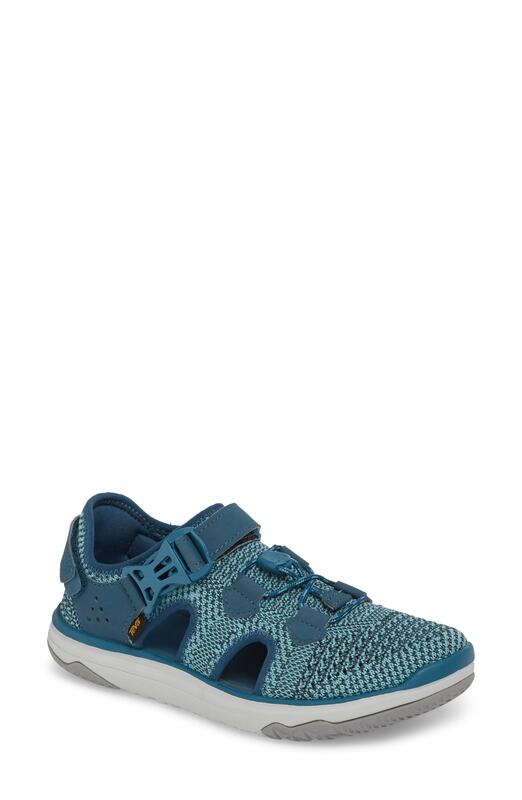 Blue athletic shoes will add a sportier vibe to your look. This combination of a light blue dress shirt and light blue ripped boyfriend jeans combines comfort and efficiency and allows you to keep it low-key yet trendy. For something more on the daring side to complement this outfit, grab a pair of blue athletic shoes.